The first time I saw anything to do with this brand was on instagram and alot of people were crazed with their prodcuts. I would see pictures popping up all over my Instagram, from other bloggers promoting this brand saying they had amazing products. 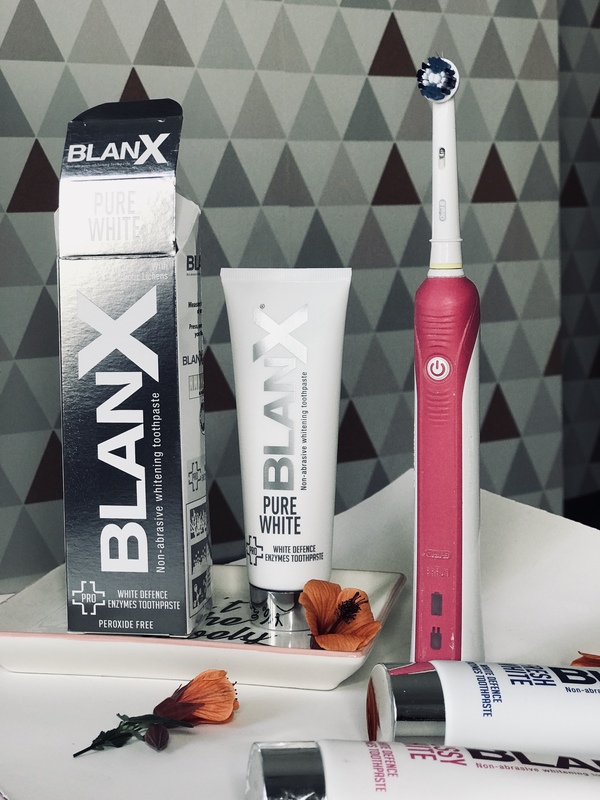 When you see people promoting teeth whitening products, or supplements you are always abit skeptical because there is always a question running through your mind – does it really work? 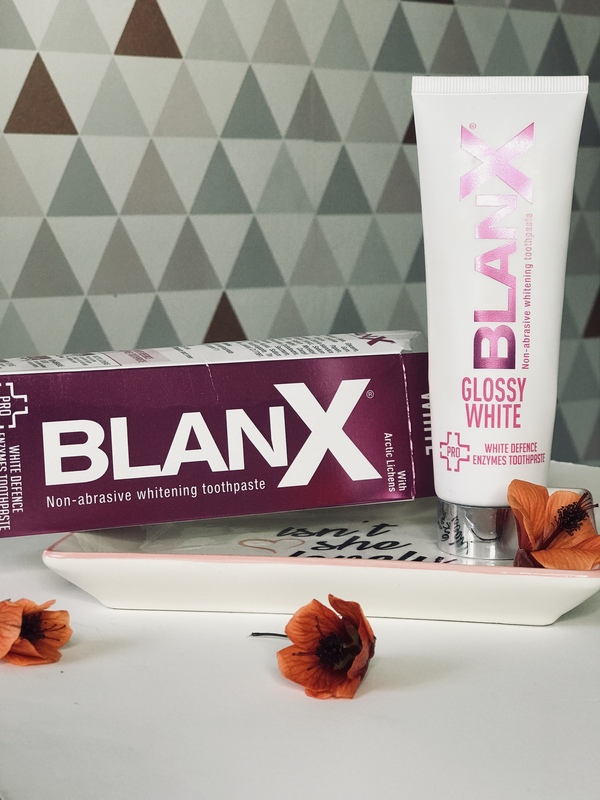 So BlanX got in touch with me and asked me if they could send me* some products, I said yes in the hope of trying these products and them actually working. Here I am this morning, with a post for you guys and I am here to tell you that THESE ACTUALLY WORK. When I first received the products, my sister was also wanting to try them too and she fell in love with them, because the results were amazing. She went to Superdrug and brought them because she needed them in her life. THAT IS HOW I FEEL. I know that when I run out of these I am going to be repurchasing them. So, let’s discuss.. The packaging is great. It is very consistent and the colours on the boxes relate to the colours on the toothpaste tube. The blue Fresh White one has actual blue toothpaste and i thought that was really cool. The boxes are glossy on the front which catches the light every so often. 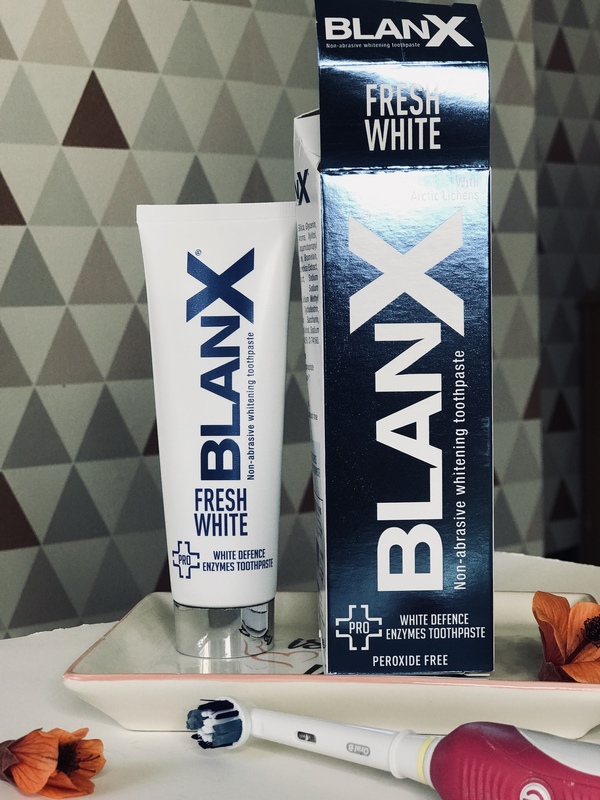 BlanX is written across the front of the box and each toothpaste is labelled differently. The pink ons is called Glossy White, the silver one is called Pure White and the blue one is called Fresh White. 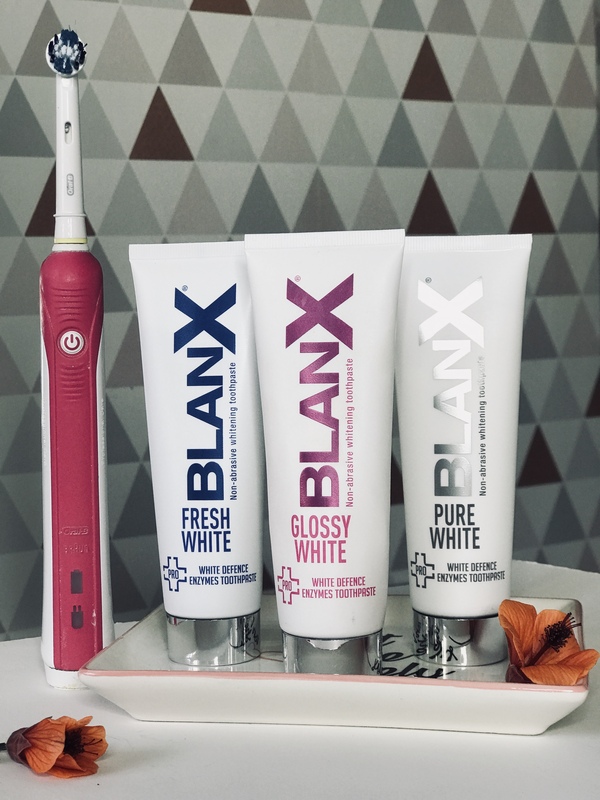 All three toothpastes are non – abrasive and peroxide free meaning that it is ok for daily use. They have 75 ml of product inside so smaller than your normal toothpaste that you might use. On the inside of each box there is a little strip that you can tear away, in which you can measure the progression of the witness of your teeth. This toothpaste is my favourite one, because I noticed the biggest difference when using it. My sister also commented and said that this is her favourite one too. This one made my teeth atleast 3 shades whiter within the space of a week. Even after ONE USE! i was able to see a difference. The best way for me to describe what this one tastes like, is abit like perfume. It doesn’t taste like your normal minty toothpaste, I kind of liked the surprise as I didn’t expect it. The flavour of the toothpaste is very easy to get used to and I found myself prefering this one to a normal minty one. I will definitely be picking this one up again! This toothpaste also tasted like mint and when it came out it was pure white! I also didn’t notice a massive difference when using this toothpaste, although it was better than the blue one. I noticed that straight after I used the toothpaste my teeth did look whiter but this wouldn’t last all day. W H E R E & H O W M U C H ? 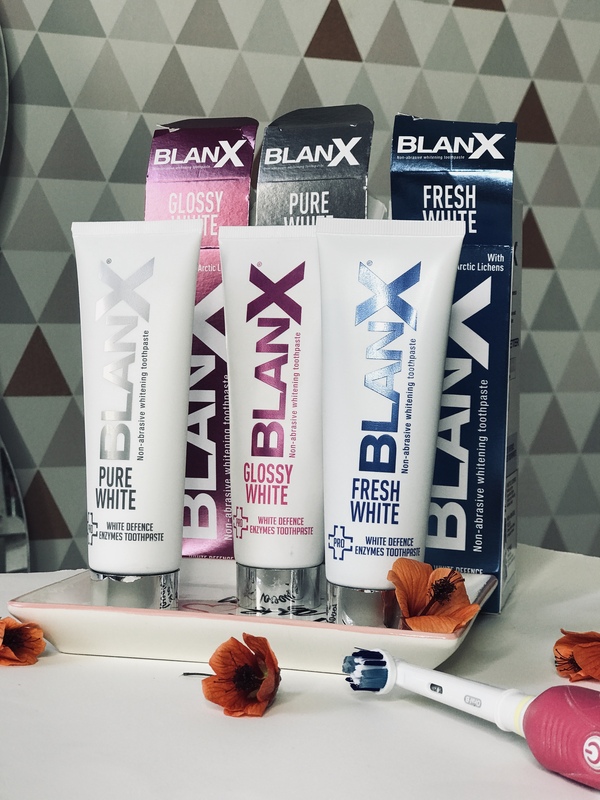 You can get these toothpastes from quite alot of places such as BlanX, Superdrug, Sainsbury’s, B&M, Tesco’s and a lot more. The prices for each toothpaste range depending on where you are shopping for it. 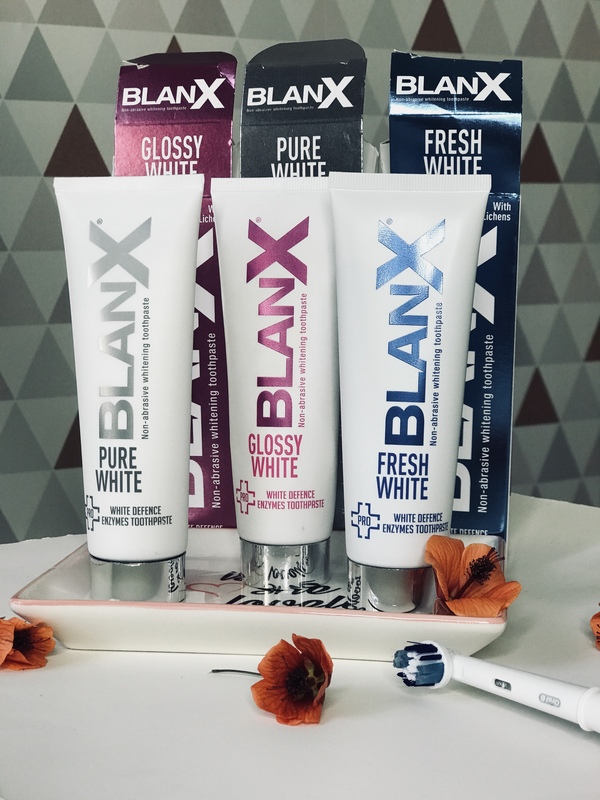 These are such good teeth whitening products, especially the Glossy White one because you are able to see results quickly, AND THEY ARE SO AFFORDABLE. What toothpaste do you like the sound of? have you tried all of them or one in particular?